We opened our doors on September 1st 2005. There had previously been a practice here which closed in 2004, and which we are not connected with in any way, except to share the same building. At the time of opening we had no idea there would be such a high demand for a dentist in the area. We started with just 3 of us, one dentist, one nurse, one receptionist. Very quickly we realised that we would need to expand to meet demand. We now have 4 dentists , 2 part time hygienists and 9 support staff. Several of our staff have gone on to have families and have returned to us part time. We are also involved with providing work experience placements for 2 trainee dental nurses. We are now moving on to the next stage in our practice which involves us relocating. This will likely happen late 2014 and we will keep you posted with all the developments on our ‘Relocation’ page. We are moving to better premises and all the staff are very excited about being part of our next phase. We are committed to providing high quality care in a friendly relaxed environment. We have happy, well trained staff who work together as a team to make our patients as happy and comfortable as possible. 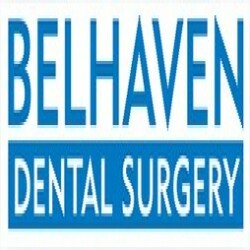 We aim to develop ourselves constantly and are always looking for new ideas and suggestions as to how we can improve Belhaven.